The holiday season is on its way and this year it happens to coincide with the leap to a new generation of consoles. What are publishers like 2K going to do with their warehouses full of old 360 and PS3 games? Make $29.99 bundles out of them, including the Borderlands games! 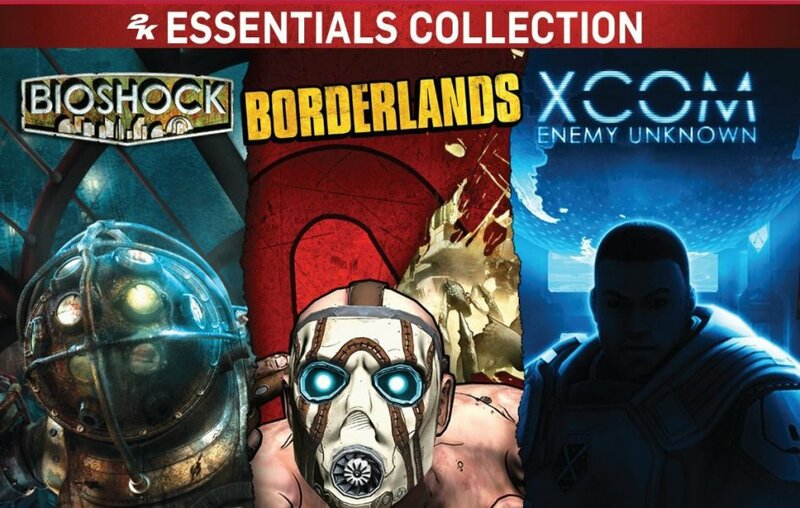 A must have set for any XBOX 360 and PS3 game library, the 2K Essentials Collection features the critically acclaimed turn-based strategy game XCOM: Enemy Unknown, alongside original first-person shooter titles from groundbreaking franchises BioShock and Borderlands. Providing gamers with a wide variety of game experiences for XBOX 360 and PS3, the 2K Power Pack gives players the chance to wield amazing powers as they venture across an underwater dystopia with Bioshock 2, navigate through a psychological horror with The Darkness II, and fight their way through a gangster-fueled action-adventure with Mafia II. From Firaxis Games, the studio voted #1 Developer in 2012 by Game Informer Magazine; the Definitive Strategy Collection is a PC exclusive pack that features XCOM: Enemy Unknown & Sid Meier’s Civilization V, two of the most highly acclaimed PC games of all time and must-haves for any strategy fan. Delivering some of the most critically acclaimed favorites for players who like their shooters with an edge; the 2K Rogues and Outlaws Collection is only available at Walmart and features three action-packed hits including Borderlands 2, Spec Ops: The Line and Mafia II, for XBOX 360 and PS3. That's a lot of different bundles, over several retailers, but the important thing is that some co-op games are available. Both Borderlands and Borderlands 2 are stone cold classics (co-op games of the generation?) Less classic, is Spec Ops: The Line, but it is still a fun game, especially at the new bundle price. Which bundle will you pick up? Or do you have all these games already?